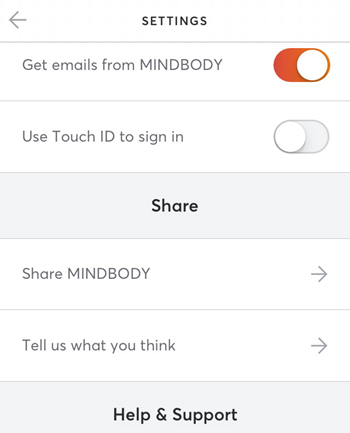 How do I leave a review about the MINDBODY app? Leave feedback about your app experience! In your Profile screen, tap Settings. In the Share section, tap on Tell us what you think.